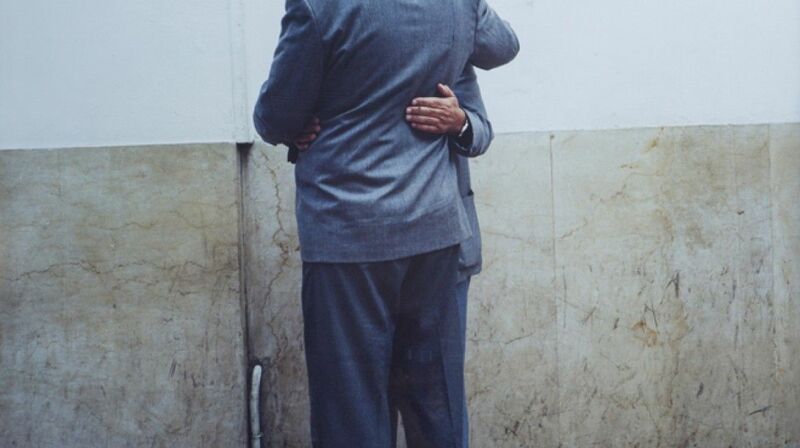 Highlights include Moroccan artist Yto Barrada’s photograph Rue la Liberté (2000) of two men embracing with their backs to the camera. The image is part of Barrada’s wider series ‘The Strait Project’ (1998-2004) which documented individuals waiting to escape to Europe across the Strait of Gibraltar over a decade. Photographs from Lebanese artist duo Joana Hadjithomas and Khalil Joreige’s series ‘Faces’ (2009) are also on show. Since the civil wars in Lebanon began, portraits of men who have died fighting for a political or religious cause cover walls across the city. Hadjithomas and Joreige documented some of these posters that have been distorted over time and the process of redrawing some of the faded faces, exploring issues around image circulation, availability and marking moments in history.